Heavenly Haven - The Interiors Muse. Holy is a home that both relaxes and inspires. Give light and airy spaces a heavenly vibe with ethereal prints, earthy timbers and soft textiles. Part contemporary, part boho with a touch of coastal; this trend is a culmination of everything you love. 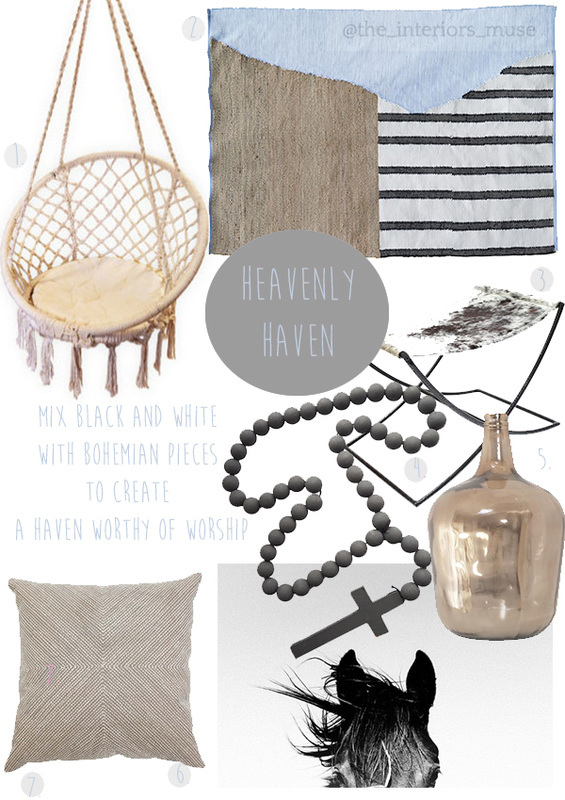 Mix black, white and sky blue together with bohemian pieces to create a haven worthy of worship.